Blend together all the ingredients until smooth aide from the chocolate sauce. In a glass, drizzle the chocolate around the side using a teaspoon and tilting the glass whilst rotating it to get drizzle all the way around. 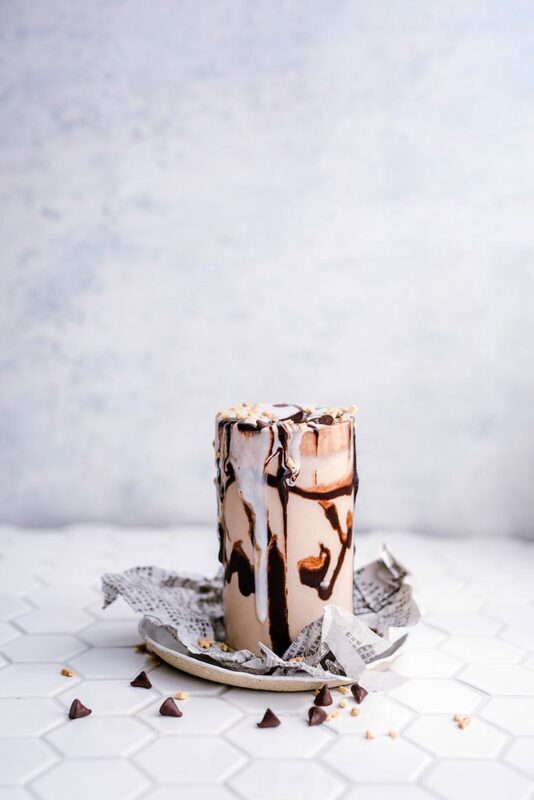 Pour the shake into the glass, and top with chocolate chips and crushed peanuts. Tip: if you want that caramel flavour, add 1 Medjool date or a 1 tsp mesquite powder for a sugar-free substitute. 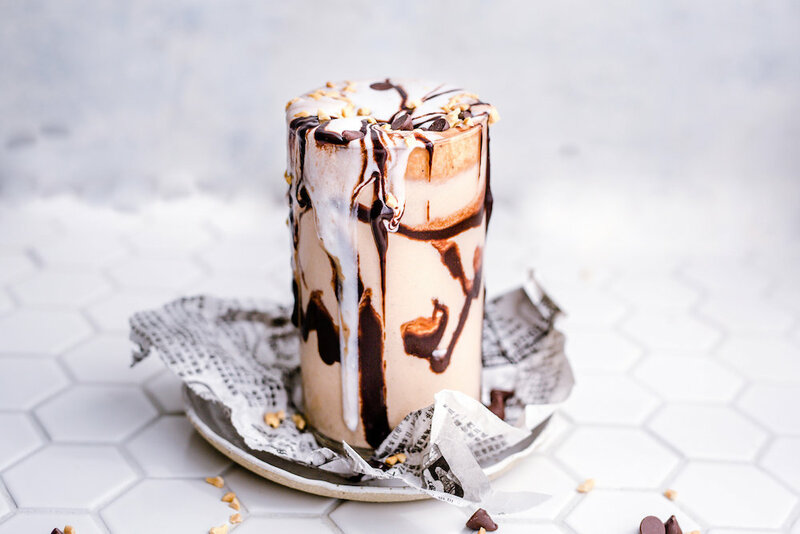 I LOOOOOVE Snickers and would love to make this shake!